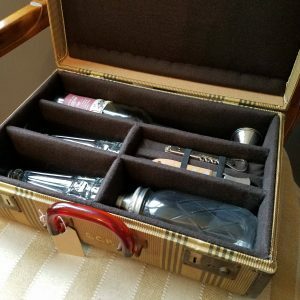 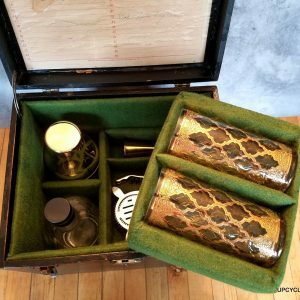 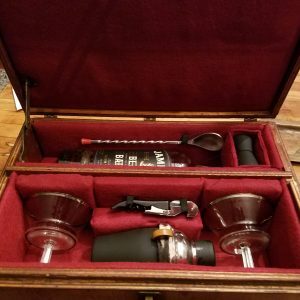 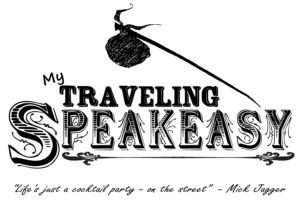 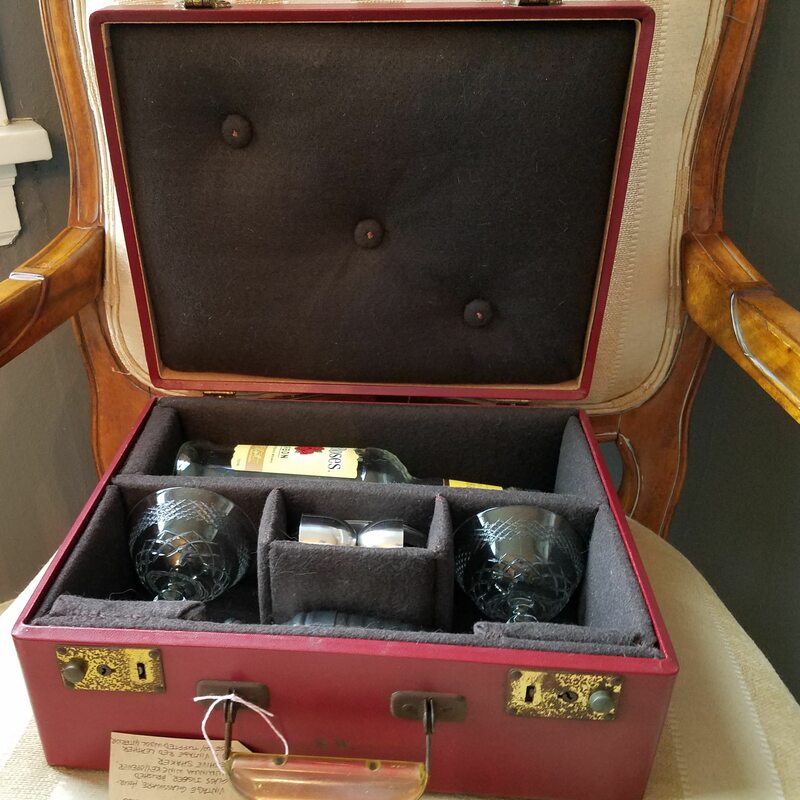 The Cecil traveling bar, hand constructed in an antique red leather suitcase, incorporates a pair of vintage wheel cut coupe glasses with faceted stems – everything you need for a traveling cocktail, except the spirits, of course! 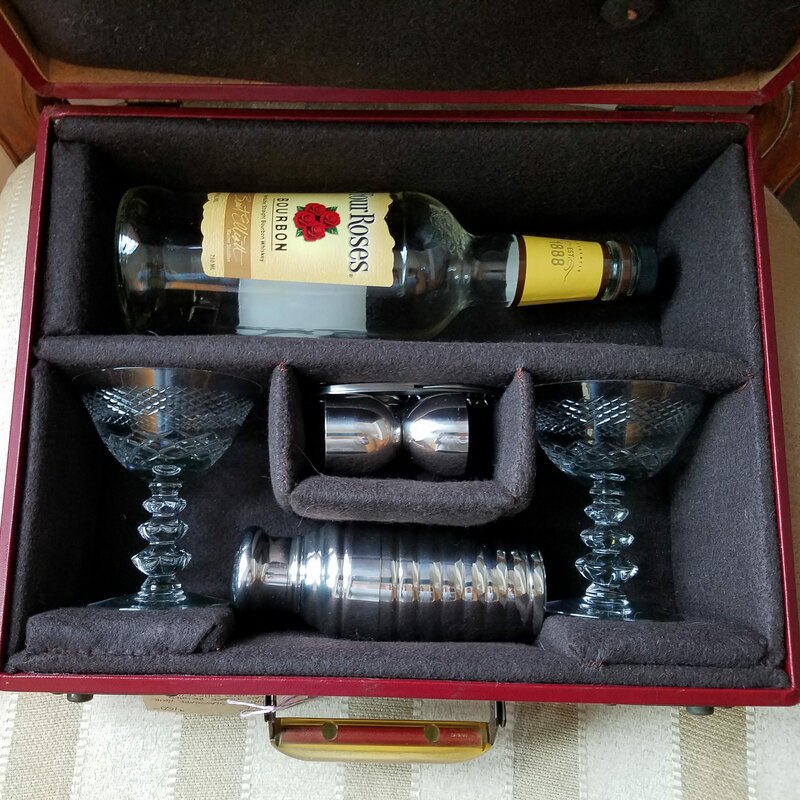 Chrome jigger & art deco style beehive shaker and a wine & bottle opener complete this set, making it ready for mixing. 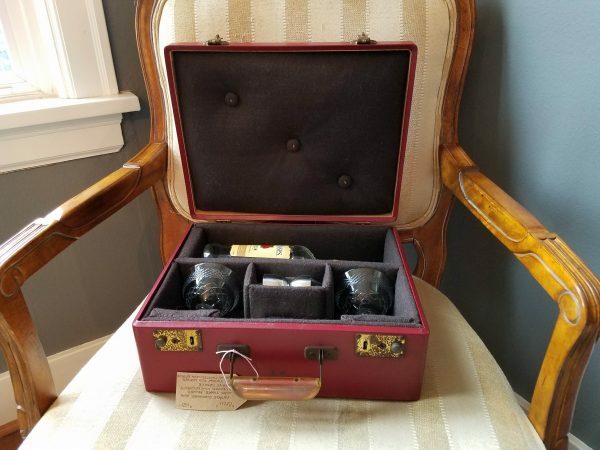 This completely refurbished red leather antique suitcase has a brown wool blend felt hand-stitched & tufted upholstered interior compartmentalized to snugly hold your bottle and tools, and original suitcase clip locks to keep it securely closed. 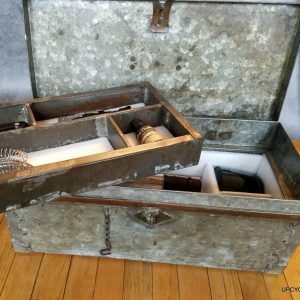 White chain stitching on the outside edges and an original Bakelite handle give it a bit of flair. 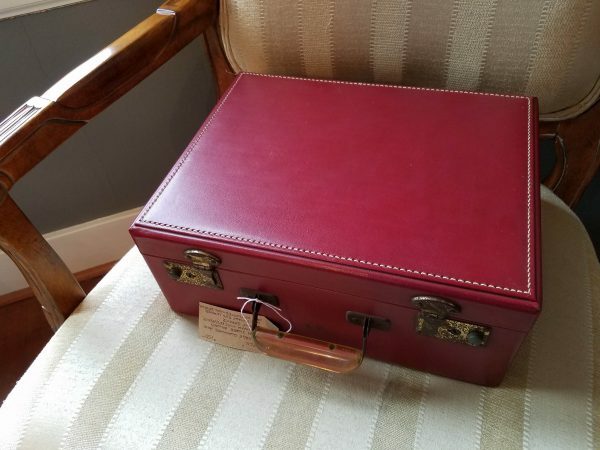 Approximately 14″ x 11″ x 5.5″ overall size.